Bangladesh is at war with poverty and gender biasness. The country has been at it since its independence. Things look good for Bangladesh but the fight is not over. Concentration of wealth is one of the most serious issues in Bangladesh. The problem is twice as big for women because of inequality. Only 26% of Bangladeshi women engage in work. Keeping 80s data in mind only 20% of women were living in urban areas. The remaining majority has been a contribution to the nation’s fertility, illiteracy and gender based domestic violence. Factors like family influence, lack of education, lack of financing, family values and superstition play a crucial role in blocking women from attaining success. Yet, due to increasing level of awareness and stability in the nation, women are now able to counter the odds better than before. One key aspect of motivation has been success stories of Bangladeshi women. Just when they thought all was lost, something came up that changed their lives forever. 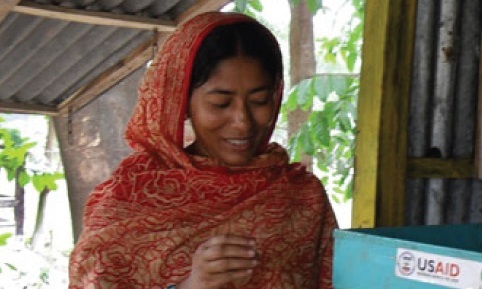 Read on to know some of the most inspiring women entrepreneurs of Bangladesh. Selina Begum of Gutia Villiage, Ujirpur Thana is an inspiring entrepreneur today. But she wasn’t always so happy. Selina’s suffering began from her childhood. She wasn’t allowed to excel in studies because of her financial problems. Ironically, she would teach others to meet the financial demands until she was married. More problems came in her life as her husband lost her job and became ill a few years later. But worried Selina would not lose her composure and advice her husband to discuss business with his uncle. Again it was Selina who came up with plans and the capital via a development association. But this is the time when things really got out of her hand as the cyclone Sidr struck around the same time destroying the crops and forcing her to take loans at incredibly high rates. Luckily, she came to know about a machine that would make USG briquettes. Thanks to development organizations, Selina obtained the money to own the machine and the appropriate training to make the most of the equipment. Selina was being barricaded by her poverty, but she was intellectually gifted. It was her marketing skills that led to the demonstration and subsequent success of the demo. The success prompted her to invest more in demonstration and the mareginal investment proved to be a right decision as well. The title of ‘Apa’ – literally madam – made her start an advisory and information centre where farmers were given knowledge about guti urea, its deep placement (UDP) and other productive farming techniques in addition to product and demonstration. She also plans to expand by installing one ore demonstration plot. Selina has been asked if all of this is possible and she just smiles and says she can manage it thanks to encouragement from her family and the life changing USAID funded program. Baby Parveen was married to her husband at the age 18. When she was 19 and expecting, her husband began beating her. Her family troubles led her back to her father who died just three weeks after the daughter’s birth. Unfortunate turn of events would lead her to lie to get a job at a textile factory, but just before she could join, she was elected as one of 24,000 women to repair roads for training and daily wages. This would prove to be a revolutionary phase in her life. Baby Praveen saved the money and made some smart investments with it. With her weekly savings, she bought a land after two years which she leased out to sharecroppers. She would also buy cattle, rear them and then sell them for a profit. She also bought the land and erected a local grocery store where she would earn more than $10 a day. With the help of development program and more importantly her strong will, she was able to make enough money to raise her living standard. Anwara is another inspiring success story. Anwara, just like Parveen was also married at a young age. 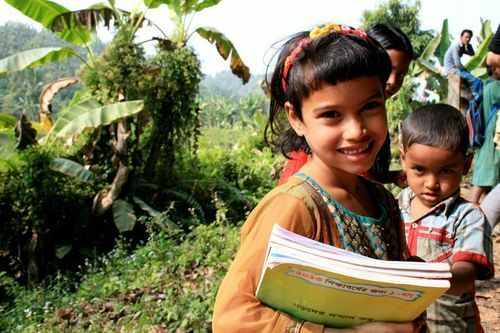 Her schooling can to an abrupt end and it would seem se would have to live in poverty all her life. Her husband gave all of his meager money to her mother. Anwara, her husband and her four kids would sometimes sleep without food. Determined to fight her troubles, Anwara took loan from a bank and purchased a cow which she would milk to buy more cows, raise them and then sell them. With enough money, she would buy a piece of land for her spouse and her offspring to cultivate. But the good days were once again short-lived as her husband died of cancer the next year. However she did not lose hope. Quite the opposite, she proved all the critics wrong by supporting her kids and her aging parents. It has been more than a decade since and during this time, Anwara has been able to rise from her bamboo house to Santa Fe adobe house with bougainvillea that climbs to her roof. In addition to her cattle business, she has been able to invest in phones and also buy a pond and start fishery business. 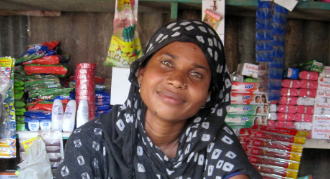 Today, Anwara is content with her life and wants to retire so her kids can take over. Her daughter Sikha is earning a law degree from university in Dhaka and is a fulfillment of Anwara’s dreams. 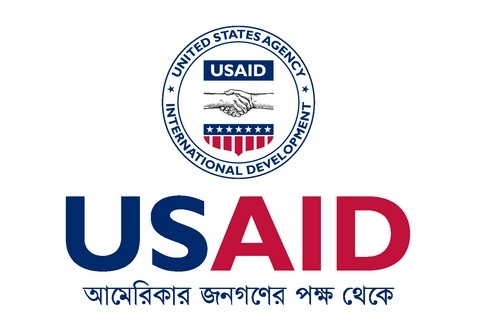 Bangladesh is full of resources and this includes human resource as well. There are many women like Selina Begum, Baby Parveen, Anwara, Konika Rani and Shahnaz Parveen. All these women need is a bit of motivation, appreciation and support from their family members and society.